A leaking water main can result in a large water bill or costly property damage. Getting your water main fixed at the first sign of a leak will save you valuable time and money, but our convenient repairs can help. 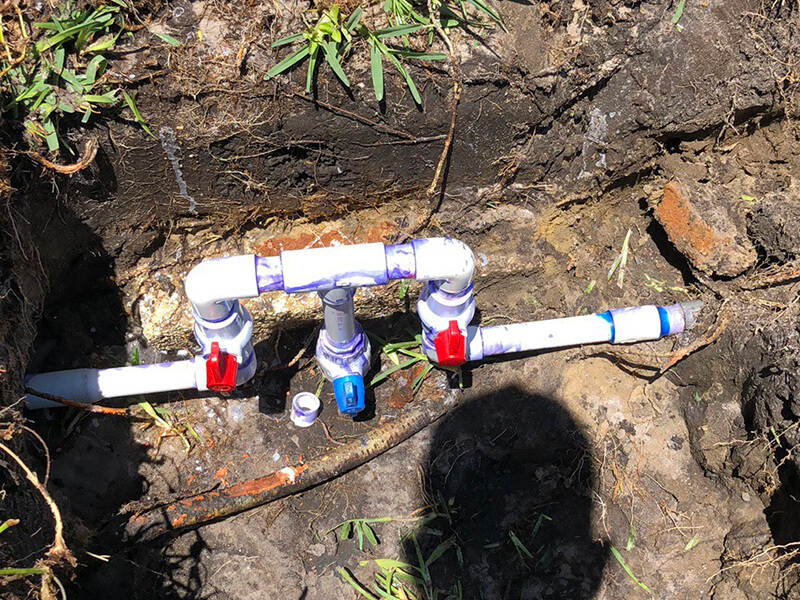 The Plumber's Plumber utilizes high-quality, durable techniques to quickly repair your water line and minimize the impact to your property and the surrounding area. 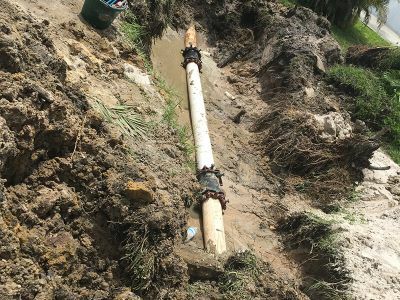 What Causes a Water Main Leak? Aside from environmental factors, your water line can also be accidentally damaged by landscaping work, remodeling, or construction work on your property. Water main damage is often hard to detect because it is hidden in your walls or underground, but the sound of water running when your fixtures are off is a telltale sign of a leak. A common misconception is that you will lose water pressure when a leak is present. In fact, it is very rare that water pressure is lost except in extreme circumstances. It is much more likely that you hear the hiss of water running, or you may notice wet spots around your property, lush spots in your grass, or the foul smell of mold and mildew. 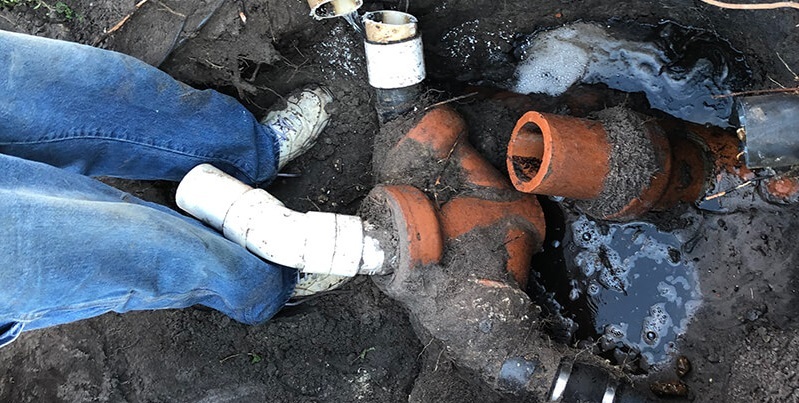 The professionals at The Plumber's Plumber can also use modern trenchless leak detection technology to quickly and accurately find the source of your leak. Pinpointing your leak will allow us to fix the problem confidently the first time. 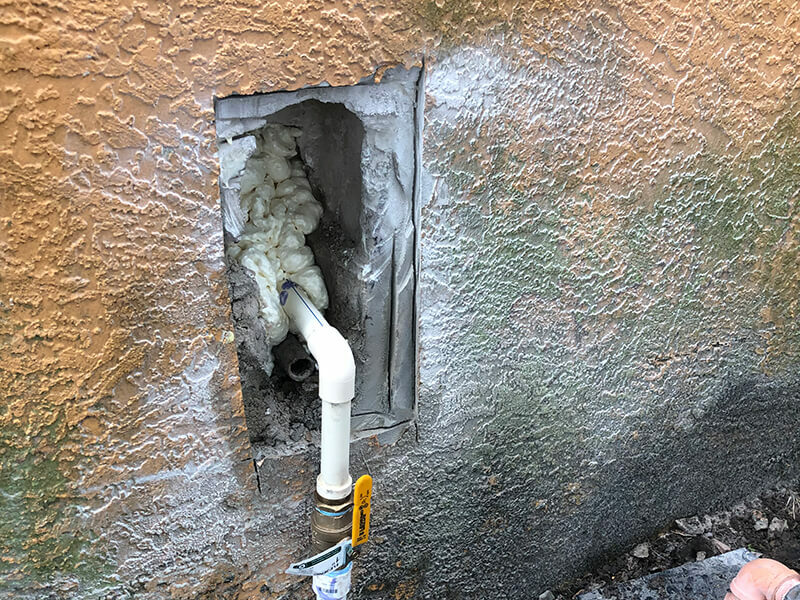 After identifying the location and severity of your leak, our technician can use one of many techniques to repair or replace the damaged pipe. Our minimally-invasive trenchless repairs are the most common approach because they don't require extensive digging on your property. A cured-in-place pipe (CIPP) lining involves resurfacing your water line with epoxy resin and a durable sleeve of material. The epoxy cures quickly and creates a smooth, long-lasting surface inside your pipe to avoid replacement. 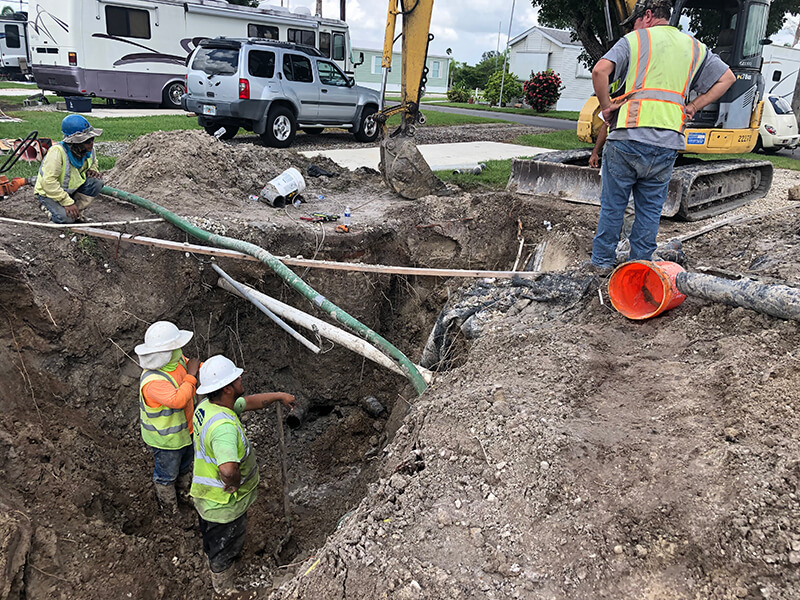 The entire inspection and repair process can be completed from an existing access point to alleviate the stress and reconstruction costs associated with traditional excavations. Without disrupting your property, your repairs are completed in one to two days and you'll save a significant amount of money in reconstruction. You rely on your water main every day in your home or business, and you can't waste time with inefficient repairs when a leak occurs. Our skilled technicians will get right to work using industry-leading technology to fix your leaky water main. When your pipes show signs of a leak, don't put off your repairs and call the Plumber's Plumber right away.